Celebrate your fraternal association with this unique bolo tie made by Zuni artist Lena Quandelacy! 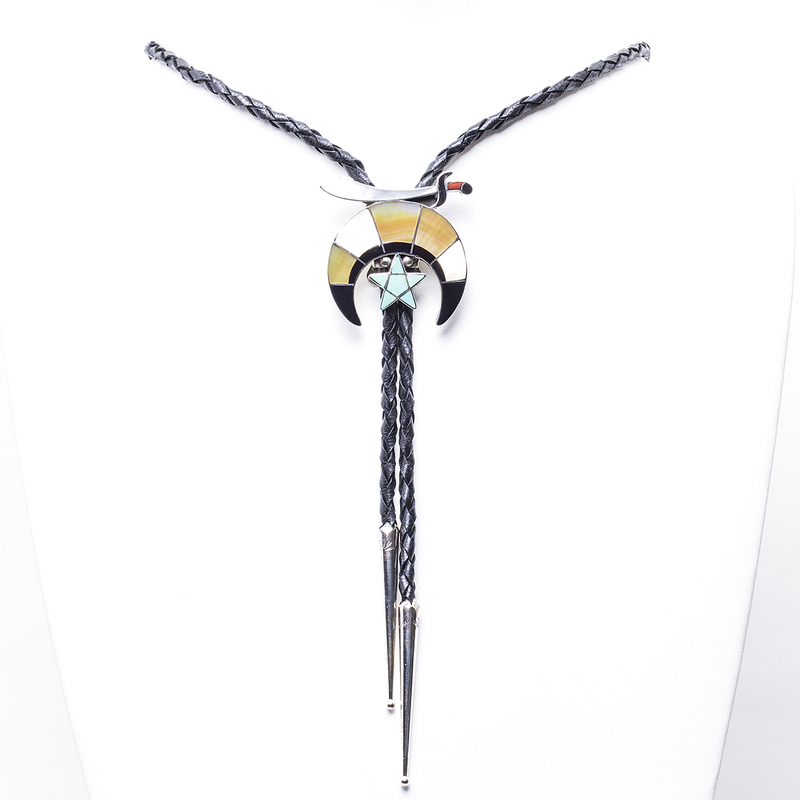 Inlaid with both gold and white mother of pearl shells and accented with turquoise, black jet and a touch of red coral, you’ll be the one to see at your next meeting or event. 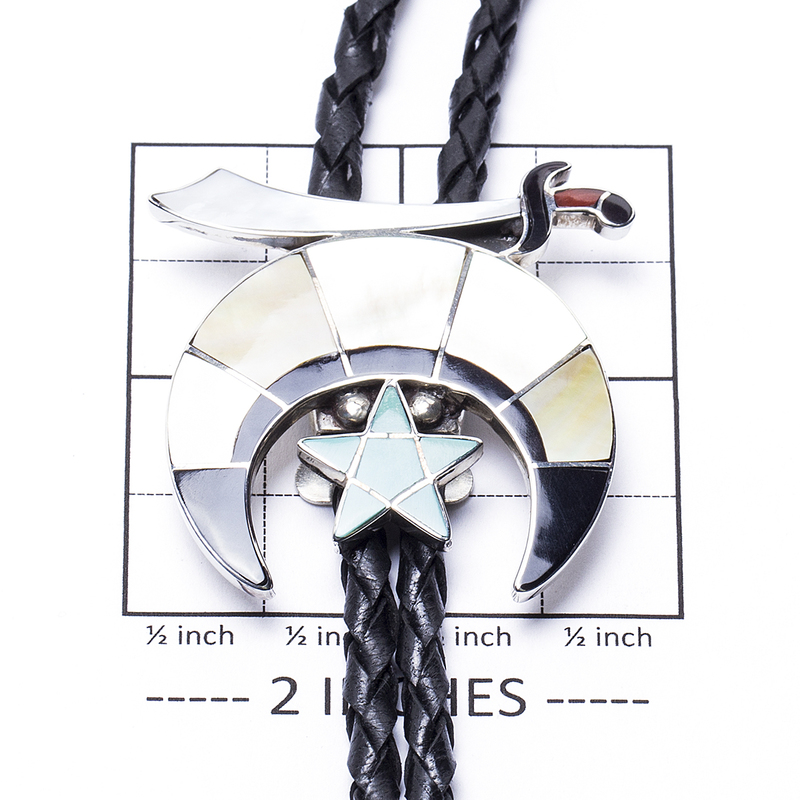 This Bolo Tie measures 1 3/4″ in height by 1 3/4″ in width. The black leather 4-ply cord is 40″ long with 2″ sterling silver bead tips. 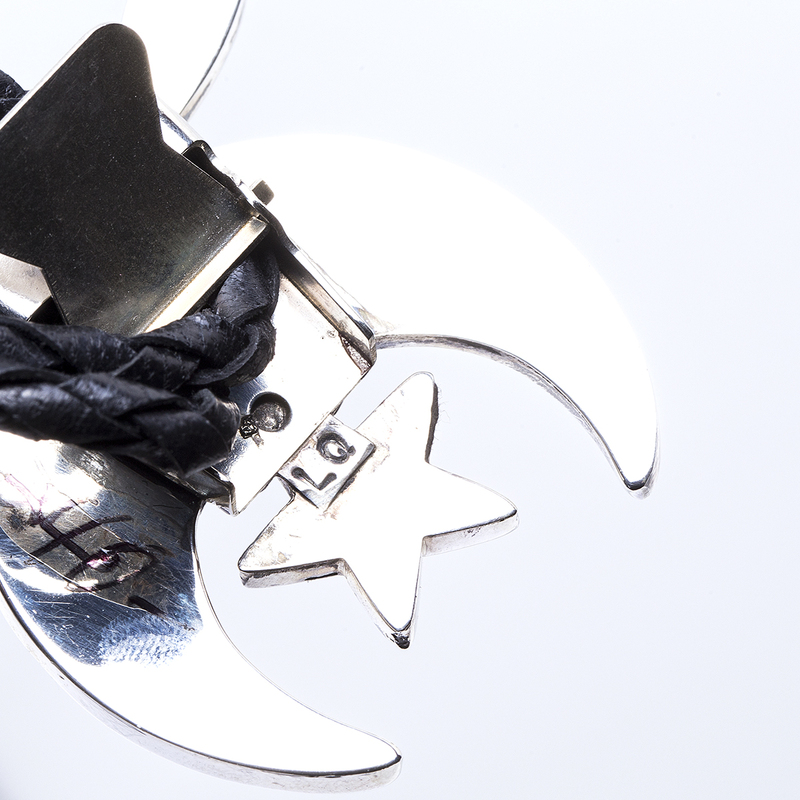 It is hallmarked “LQ” and is guaranteed to be Sterling Silver. The Bolo weighs 28.9 grams. We also offer free gift wrapping with each purchase! 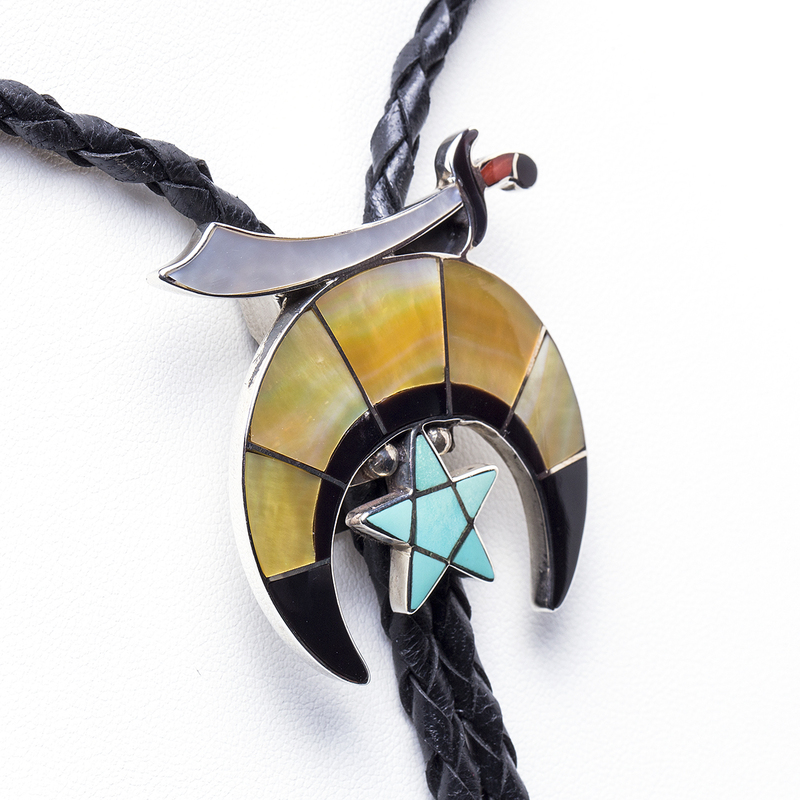 Zuni Lena Quandelacy Shriner’s Bolo Tie inlaid with gold and white Mother of Pearl Shell and Turquoise will be the perfect accent to show your Masonic Pride!